As electricity generation rate caps expire throughout the Commonwealth, customers are facing huge and sudden increases in the cost of electricity. From an economic standpoint, the timing could not be worse. Consider Gary Orben’s predicament. As the chief financial clerk for Pike County in 2006, he had to find a way to pay for electricity bills that skyrocketed upwards of 80 percent at some facilities, including the county jail. The drastic price increase occurred, literally, overnight on Jan. 1, 2006 when the regulated generation rate caps for Pike County Light & Power Co. expired, and customers, now forced to buy their electricity through the open market, experienced a 129-percent increase in the cost of electricity generation and a 79-percent increase in their overall bills. The Delaware Valley School District went from paying more than $222,000 in 2005 in electricity costs to more than $490,000 in 2006, according to the state Department of Environmental Protection, which applauded the district for its energy conservation efforts. PCL&P, a subsidiary of ConEdison Inc., was one of the first examples–and certainly the most dramatic–of what customers can expect as rate caps on the electricity-generation portion of bills continue to expire. All caps are set to expire by Jan. 1, 2011, with companies estimating rates will increase some 30 percent. The hike was so bad that the Pike County Chamber of Commerce spearheaded a campaign to get every Pike County resident to fill out the state Public Utility Commission’s complaint form. The county outrage caused the PUC to seek competitive suppliers for the roughly 4,600 affected customers, and picked, in April 2006, Direct Energy, a subsidiary of United Kingdom-based Centrica. The company is an energy aggregator, buying about 95 percent from the open market and supplying the rest from its own generation plants to offer a fixed price. 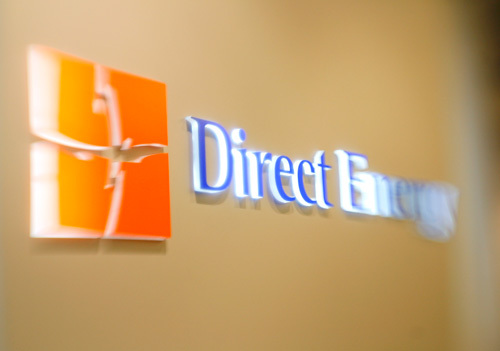 When it was initially made available, Direct Energy’s price was just under 12 cents per kilowatt-hour. A recent negotiation that goes into effect June 1 will drop the price 18 percent–to just under 10 cents per kilowatt-hour. PCL&P reports its prices in the past year have fluctuated from about 18.5 cents per kilowatt-hour in August to about 7 cents per kilowatt-hour this March. Although Direct Energy supplies the power for its customers, all customers continue to receive their bills and electricity through PCL&P. The company continues to maintain the lines and respond to outages, and receives payments from monthly bills through the transmission and distribution costs, which remain regulated. The main difference in pricing between the two companies has been when the electricity suppliers signed their purchase contracts, according to Ron Cerniglia, the director of national advocacy and governmental affairs for Direct Energy: PCL&P bought all of its energy supply in Oct 2005 right after hurricanes Rita and Katrina, when prices were abnormally high. 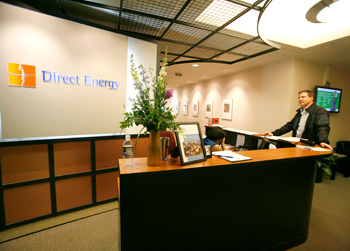 Because of Direct Energy’s creditworthiness, it was able to secure better long- and short-term contracts. 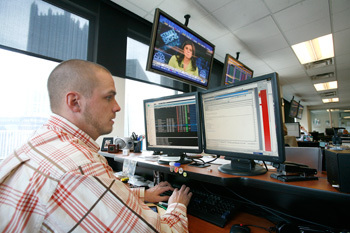 “It’s analogous to getting a mortgage for your house or a loan for your car. To the extent that you have good credit, you’re going to get more attractive offers,” Cerniglia says. 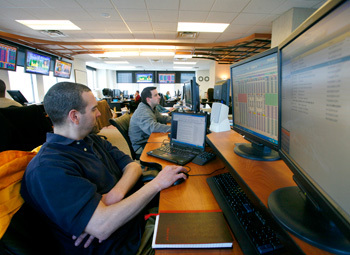 The fixed-rate idea has shown enough promise that another one of ConEdison’s subsidiaries, ConEdison Solutions, announced in October 2007 that it’s offering a similar plan, though plan specifics are dependent upon when customers sign up. Since their initial shock, PCL&P customers have learned to rearrange spending priorities and conserve energy. The county paid for a detailed energy analysis to determine what changes could be made to reduce prices, and it continues to find ways to conserve. In Orben’s own home, he says, changing the bulbs saved more than Direct Energy’s initial rate reduction, essentially nullifying the rate increase altogether. In the county, changing the bulbs or installing newer, more energy-efficient ballasts in fluorescent lights “made a big difference,” he says, because some of the lights are on constantly.